Do the areas in your home where you access your internet more closely resemble a spider’s web with all the cables running everywhere? Maybe your incoming internet connection just makes your desk, countertop or tabletop look to cluttered? Well things don’t have to be like that anymore because the best wireless modem and router combination can clean up those areas that are jumbled up with wires and cables very easily. Just like there have been advances with the internet over the years so to have there been major advances with the equipment that distributes it to the different areas of your home. Many people do not take advantage of these new pieces of equipment and the benefits they bring to your overall internet experience. Integrated cable modems with routers are more affordable than ever too. Their prices have dropped substantially over time as the popularity of using them has increased. A strategically placed wireless router/modem combination will not only free up cable clutter but it will also improve the internet reception in all areas of your home. 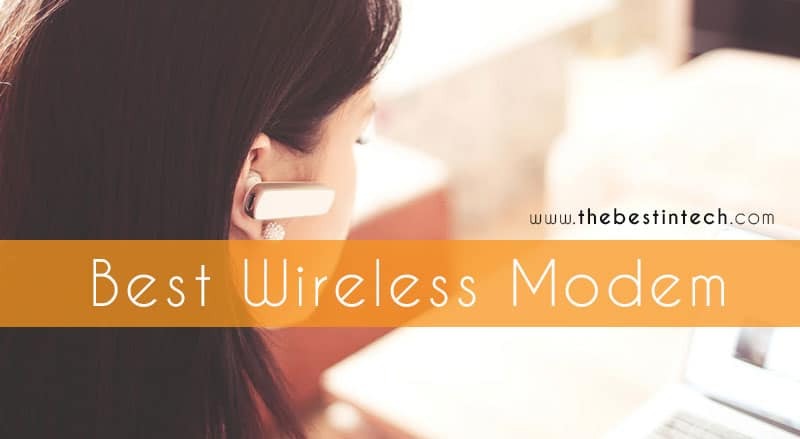 In this article we will discuss these handy internet distributing devices further and review some of the top models that are available to you. How Does A Combination Cable Modem And Router Unit Benefit You? Here is a very good all-around wireless router and modem product. Motorola is a proven name in communications equipment and this very good internet distributing tool shows why. It will greatly help simplify your internet hookup and also give the distribution of your internet signal a boost. This is a router/modem combination that is completely wireless as far as the distribution of its outgoing internet signal. Although you can attach wires to its several exit ports in the back of it there is no need to do this thanks to its strong signal. It is an internet signal that can easily reach to the furthest corners of even the largest homes. 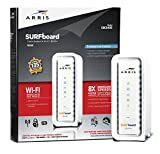 One of the best things about this wireless/router and modem combination is that it’s compatible with almost every major cable distributor’s signal. That means no more overpriced monthly cable modem rental costs. This wireless router and modem model can also handle reception and transmission of even the fastest internet speeds available. Even the latest 686 Mbps speeds are no problem for this unit to distribute throughout your home or business. The fact that it also has a signal powerboost built right into means this unit really does the job of three different pieces of internet equipment. This is another very good wireless router and cable modem product from Motorola. It is very similar to the product that we were very impressed with in item #1. This unit has many of the same great features but has a few less wired exit ports if you choose not to use its wireless features. The Motorola 8×4 DOCSIS 3.0 cable modem will not only keep down wire clutter but it will also save shelf or table top space too. It has a sleek upright design which allows it to take up no more space on a shelf than a couple of books. There is no more need to rent a modem from your cable company with this modem/router either because this unit is compatible with most cable providers. It can be used to distribute the internet signal provided by such companies as Comcast, Charter and Time Warner. One of the premier features of this unit is the fact that it can boost the Wi-Fi signal strength throughout your entire house. That means less signal drop outs and a much more satisfying internet experience. Most users claim this is a very easy modem and router to set up and get working. Archer has designed a very nice cable modem here with a convenient built in wireless router. They have made it easy to receive an internet signal and then distribute it throughout your home or business. This modem has also been designed to handle the fastest internet speeds available. It features DOCSIS 3.0 technology which is the top download speed technology available currently. This Archer wireless modem/router can handle cable download speeds up to 680Mbps. That is over 10X faster than modems that use DOCSIS 2.0 technology. Archer has designed the setup of this device to be very simple too. It is as close as you can get to a plug and play style modem. A few quick connections and a little guidance from the setup directions is all it takes get going. Within just a few minutes of taking it out of the box your modem should be up and running. This modem/router combination from archer also has a sleek space saving design. It has a separate charger that comes with it that can be used to rapidly charge your cell phone, tablet or other smart device too. The customer support you get with this company is very good. They are available to help you 24/7. This modem also comes complete with an industry leading 2 year warranty. High capacity of 10,400 mAh - charge your iPhone, iPad, Samsung Galaxy, Android Smartphones and Tablets 4-5 times. Portable design (3.5 x 1.7 x 1.7 inches) for your pocket or bag a rechargeable power capacity while on the go. NETGEAR is a very big name when it comes to internet connectivity devices and this model modem with built in wireless router shows you why. It is very well-designed to say the least. Just about everything you could want in a wireless cable modem/router is included in this device. This is a sleek space saving device that can handle even the fastest internet speeds. That is an absolute must when hooking up your homes Wi-Fi system to most cable internet providers. One of the best things about this device is the protections that are built into this product. It will help provide you with safe and secure internet service. There are such features programmed into this modem/router as the ability to set parental controls and to create high security passwords. You can even set up short term guest access codes to let them easily access your Wi-Fi network when visiting you. This truly is a great internet connectivity device for many homes and businesses. It is the perfect cable modem with router for medium to large size homes. This product is even backed by a full one year limited warranty. If you don’t need 680Mbps internet speed and you like to keep things simple then this may be the perfect device for you. It is a combination wireless modem router that does a great job of taking care of all your basic internet needs. 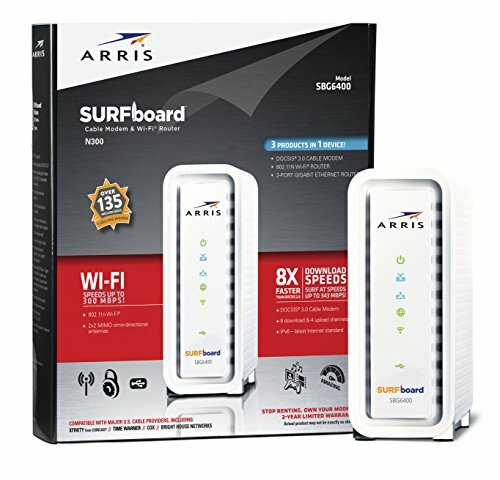 Best of all this modem/router from ARRIS can be had for an affordable price. This device features three great products in one piece of equipment. You get the modem to receive your internet supplier’s signal, the router to deliver that signal throughout your residence and two gigabyte router ports that support high speed Ethernet cables. This piece of internet connection equipment is not for everyone. Although this router can support internet speeds up to 380Mbps, it is best used to support internet speeds of 100Mbps or less. That is plenty enough speed for most ordinary internet users. So if your internet connectivity needs are simple and just require a generous internet speed and you won’t be sharing your system with many others, then you will really want to check out this device. You can pay for the most powerful internet signal in the world but it won’t do you any good if you don’t have the means to accept it and distribute it throughout your home or business. That is why it is so essential to have a good modem/router unit to do this task for you. Here is a little bit more information on what roles integrated routers and cable modems provide as far as the distribution of internet in your home or office goes. An important secondary function of your modem is to help secure your internet connection too. Your internet signal has to reach your computers and smart devices somehow and that is the function of the router (hence the word ‘route’) in your integrated modem and router unit. A router also slightly changes your IP addresses on your devices to further enhance security and computer privacy. Without a router you would not be able to use the wireless connections on your devices either. So they definitely play an important role in your home or business when it comes to internet connectivity. Here are some of the major benefits you will get when using a combination cable modem and router as opposed to using separate devices. There is a wide variety of pricing as far as combination cable modem/routers are concerned. The trick here is to not pay for more than you need. If you only live in a small apartment and have access to a 100Mbps speed connection tailor your shopping to that. You don’t need to spend big bucks on a device that can be used with up to 680Mbps internet speeds and has built in Wi-Fi signal boosters. 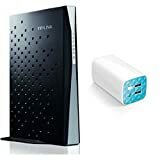 It is very important when shopping for a new integrated modem/router system that it be able to handle the internet connection speed you are paying for. So you must make sure the new device you are buying can handle your current internet speed. Ask your internet provider what that is if you don’t already know. You can pretty much rest assured that as technology advances so will the available speeds for internet connections. We just mentioned you don’t want to overspend on equipment you don’t need but there is a fine line there too. So look at equipment that will allow you to expand your internet speed as it becomes available without buying a whole new modem/router setup. The range of the integrated modem/router unit you will purchase is very important too. You usually do not have much to worry about in smaller homes and apartments with any device that you will purchase. Bigger homes and businesses are a completely different story. If you own a large home or small business you need to make sure your new cable modem with router has the signal strength to cover all of it. You may want to look for a unit that has such features as a built in signal power booster. That way you stand a better chance of receiving a strong signal everywhere you go. Very few people that have internet never need to speak to a modem/router manufacturer’s customer service representative. Make sure the manufacturer of the combined cable modem and router unit you purchase has good customer support. Preferably it will be 24/7 customer support that they do not charge you for using. One of the main reasons people choose integrated cable modems with routers is to save space and unclutter the area around them. 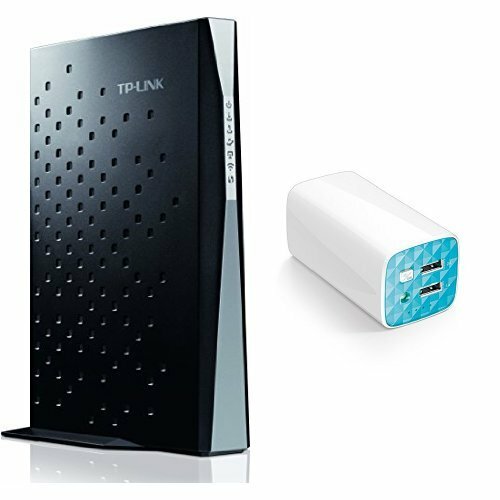 Look for a cable modem with router that has a sleek upright design that does not take up much space on a tabletop or shelf. There also is nothing that says your new device can’t compliment the looks of the room either. So consider the design of your new modem/router too before making your purchase. When you are trying to use the internet signal in your home there are always things that stop that single from being as strong as it should be. This is especially true when using Wi-Fi. That is why many people with wireless routers still try and used the wired Ethernet ports on these devices. Any time you buy a piece of equipment that is not a disposable item it’s nice to have a warranty with it. That just gives you the little extra peace-of-mind that you need to know you are making a sound purchase. Any consumer also is aware that no manufacturer can produce 100% quality devices every time. So protect yourself and get the longest and most comprehensive warranty possible with your new cable modem/router. There truly is no easier where to connect your home to the internet than by using a combination cable modem and router. When we said we would review the top cable modem routers we meant it. Any one of the devices we reviewed here will do an excellent of providing internet connectivity in your home or small business. We do feel that there was one product that stood out among all the rest of them though. That is the Motorola 16x4 DOCSIS 3.0 Modem, Wi-Fi Gigabit Router. It is a top notch product when it comes to providing and internet signal where you need it most. Why did we choose this specific combination cable modem and router? It checks all the boxes when it comes to performance and ease of use. It sets up easy and takes up very little space on a desktop, shelf or countertop. Unlike some of the other modems on the list it can be used with even the highest internet speeds. It has built in gigabyte Ethernet ports and many other cable connections are available too. This model modem/router is major cable provider ready and unlike many other modems it even has built in signal boosting technology. There really is a lot to like about the Motorola 16x4 DOCSIS 3.0 Modem, Wi-Fi Gigabit Router. So be sure to check it out if you are looking to buy a new modem/router or upgrade to a better one.